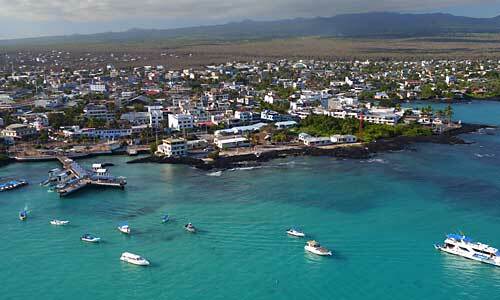 There are two diving seasons in and around the Galapagos islands. The warm Season, nicknamed the Manta Season, and the Cool Season. 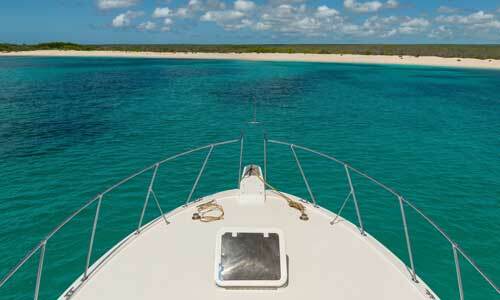 From December to May it is warm and sunny with very little wind and calm seas. 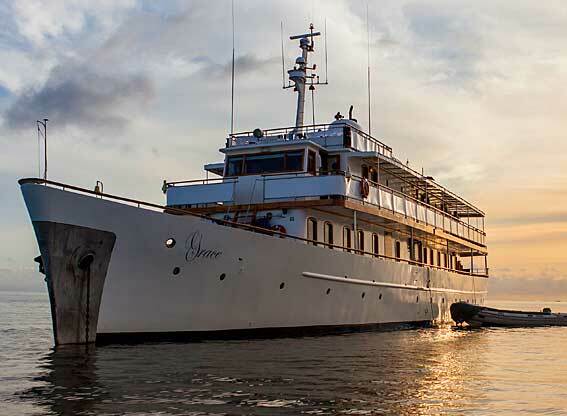 Temperatures on the islands will go up a few degrees but in the water, especially around Wolf and Darwin Islands the temperature is usually between 21 and 28 degrees Celsius which is about 4 or 5 degrees warmer than the cool season. It’s fairly tropical weather between January and June with some rain most days. 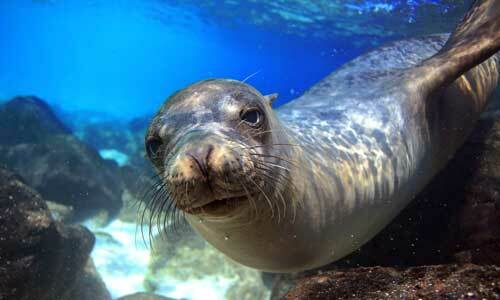 Underwater visibility is best at this time of year so it is a great time for diving in the Galapagos Islands. This warm season is sometimes nicknamed the Manta Season as it is particularly good for seeing rays. 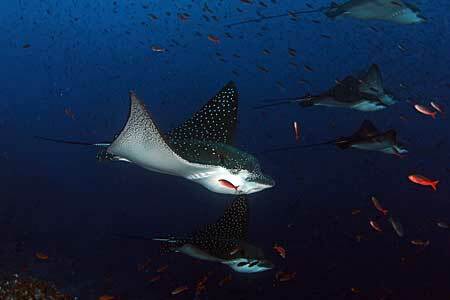 There is a very good chance of seeing the giant manta rays and also the other ray species. That’s the spotted eagle rays, cow-nosed rays, golden rays, marble rays and mobula rays; sometimes in spectacularly large schools of around 200 individuals. 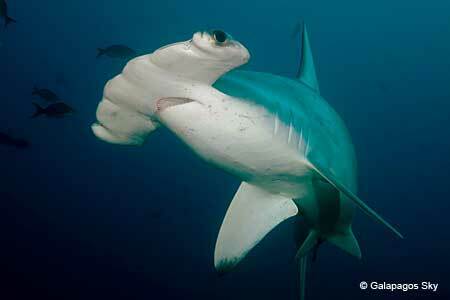 It’s also a brilliant time for seeing hammerhead sharks. These weird looking beasts sometimes congregate in huge numbers, almost forming a solid wall of hammerheads. These are usually at reef points where there’s a sharp corner or turn in the drop-off. They hang almost motionless facing into the current. 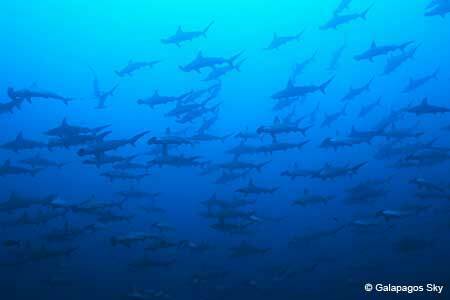 It’s quite a site if you turn a corner and are faced with a wall of hammerheads! 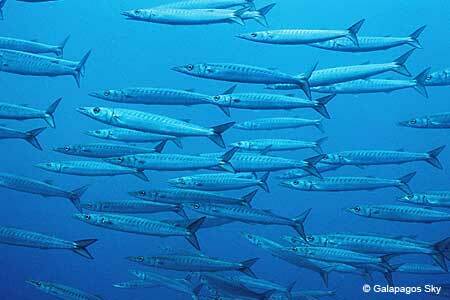 But you do of course also see them in smaller groups or even just individuals when you’re diving at this time of year. From June to November it is cooler. There can be occasional mid-day rains but generally you can expect it to be dry with blue skies. Ok, it doesn’t suddenly change from one season to the next and really you could call June and October/November transitional months. 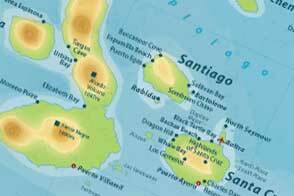 From July through to about December the Humboldt Current brings in colder waters and this is why the water temperatures in the Galapagos drop by around 4 or 5 degrees to around 17 to 23 degrees. 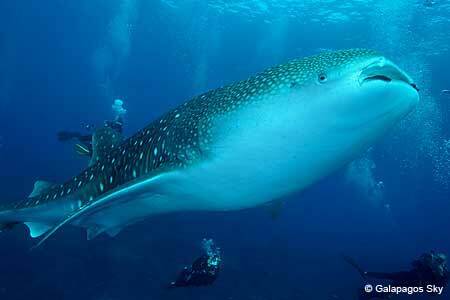 But the plus point to this is that the colder waters bring with them an influx of Whale Sharks. Whilst these gigantic fish, which can get up to 40 foot long, can be seen at any time of the year in these waters, during the cool season the numbers are really significantly higher. 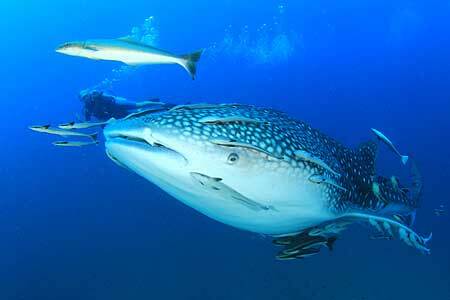 In fact this cool season is often dubbed Whale Shark Season. Visibility may not be as good as in the warm season but for most of the year the average visibility is 12 to 18 metres.